Apple released iOS 12 beta 9 to developers on Monday, August 20. The company seeded the update just five days after releasing dev beta 8 to testers, itself a quick replacement for the problematic beta 7. This update was followed closely by public beta 7, confirming Apple's new same-day release schedule for both developer and public betas. Dev beta 9 seems to be a very minor update to last week's release. Beta 9 fixes only two issues related to Localization, and introduces only two minor issues — traffic data might not be displayed in Maps, and Downtime might not work if configured before dev beta 9. To download and update your iPhone to iOS 12 dev beta 9, you first need to be a registered developer with a valid configuration profile. If you have iOS 12's new "Automatic Updates" enabled, you can let the software update overnight. To download the beta right now, however, launch the Settings app, select "General," then "Software Update." 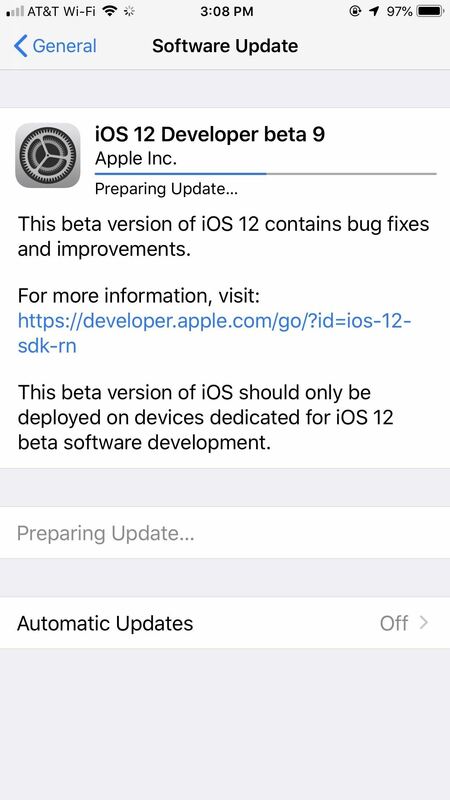 Tap "Download and Install," then follow the on-screen prompts to download and install iOS 12 dev beta 9. Users might encounter a situation where Apple Pay becomes unavailable. (31989675) — Workaround: Try opening Wallet and using the card again. If the issue persists, restart the device and try again. Last week presented beta testers with an odd turn of events. 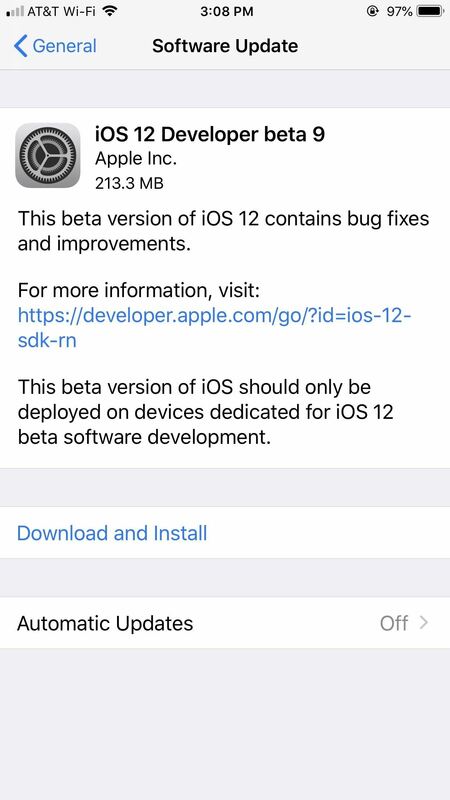 iOS 12 dev beta 7 released on Monday, August, 13 to quick criticism from early adopters, who complained of serious performance issues and instability. 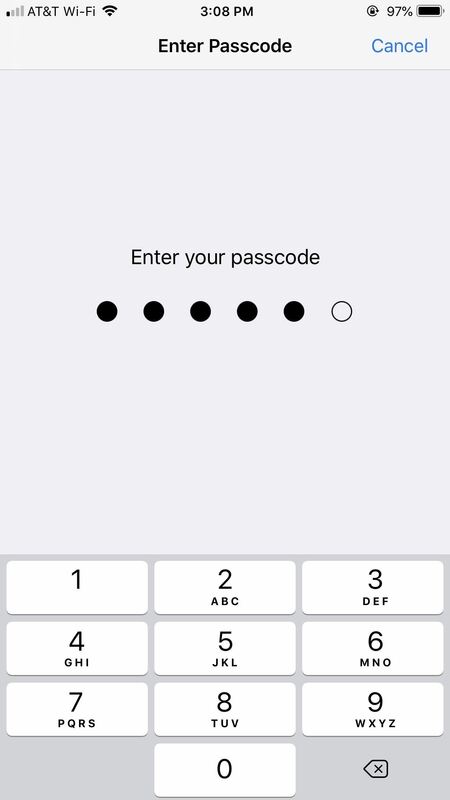 While reports seemed to indicate these issues would subside after using the iPhone for a short period of time, Apple pulled the release, reintroducing it as dev beta 8 two days later. Cupertino held off on releasing public beta 6 until dev beta 8 was released. Because this public beta had not yet released, the company did not rename it "public beta 7" to match the name change for dev beta 8. So now, public testers appear two version behind developers, even though their betas are identical.